THW Global Review - Is This a Scam Or Legit? Home » AnyBody Heard Of? » THW Global Review – Is This a Scam Or Legit? IS THW Global Advertising a Scam or Legit? Here lately we have been getting a lot of emails and advertising about this new THW Global business opportunity located at thwglobal.com. From what we have been able to learn this site may be based out Russia but we have not been able to verify this as the Whois is set to private. We don’t know for sure but we read that this site is owned by Sherm Mason and Alberto Abbatiello but like we said we are not sure this is true. What are THW Global Products? This is basically a video advertising platform where you can earn money by watching videos that large companies purchase from THW Global and they share revenue with members. They claim to pay you up to 25.00 per hour but we can not verify this as we are not members. This sure sound to good to be true. From our years online when something sounds to good to be true it probably is. The Alexa traffic ranking as of this writing is impressive at 7340 but that is not indicative of whether it is Legit program or not. When you join THW Global you can then sell advertising memberships and earn 5 dollar per affiliate commissions as well as the claimed up to 25.00 per hour watching videos. There is also a 10 level uni-level payout that pays 1 dollar per affiliate per level from what we understand. The Verdict – Scam or Legit? In our opinion this is a flawed business model right from the start. Who is going to sit around all day and watch advertising videos and be bored out of your mind? Nobody wants to watch advertising, they want content not a bunch of crappy ads. Take Youtube for example, you go there for information and to hopefully learn something. If you have read any of our reviews you know we don’t like to call a program scams and we are not going to do it now. What we will say is we don’t see this program lasting very long and if you are a member or considering becoming a member be very careful because we have already found some complaints online. We would love to hear your thoughts on THW Global Advertising and let us know if you think we got it wrong. 34 Comments on THW Global Review – Is This a Scam Or Legit? From Germany. Why dont you read what its said before making assumptions. said there are already complaints online. If you are doing well by all means continue. We will not be joining because it looks shady to us. Thank you for commenting Joe. I don’t know if it is a good or bad program, I am not in that program, I think that the word scam is being used poorly because something that is FREE can not be a SCAM!! only good or bad. One thing I know is that the program has not started, so I am confused what complaints there would be? But I understand why you wrote this lil article is to call one program a scam and all the while push to promote your programs… its call piggy backing keywords..
You are mistaken, we never called THW Global a Scam or Fraud. It does look shady and it is something that we will not be involved with. Folks will have to decide for themselves whether to participate or not. One more thing, Free programs can be scams because if you never are paid to watch these videos you have in fact been scammed. Thank you for participating and leaving your comments. First of all, you don’t sit around all day watching videos, you can only do this 2 hours a day and 10 hours a week. Second of all, this is not a review, it’s your opinion of what you read. How can you review something that you no nothing about, you said you are not a member. Do again this is just your opinion on what you read about a site, nut you really have no clue what you are talking about obviously. As we stated we are not members but we did do our research about THW Global. We never called it a Scam and we hope it is not because we don’t take glory in seeing other folks get hurt or taken advantage of including you Chris. Do you actually think that people viewing the advertising videos are going to go purchase the products being advertised? Very poor ROI in our opinion. Thank you for leaving your comments and good luck. It is very clear to me what your motive is. You are doing what several “marketers” are doing. That is trying to steal website traffic. I have seen several others do it. Basically it is try to imply that the business is not legit and “flawed” as you called it, and then conveniently market your opportunity after. This is a marketing system that many people use that I find distasteful and unethical. You clearly do not understand the business model. I am a team leader in the company. I am also in direct contact with corporate weekly, and I can tell you that THW is not a scam, or flawed as you claim. You never researched HOW they can pay $25 per hour to the field. Second, you assume people do not want to “sit around all day being bored watching ads” Well, you obviously do not get it. People want an opportunity to earn money. Not everyone wants to start a business. This is going to give people a chance to earn a part time income WITHOUT selling or buying or recruiting. I am sorry if you think you understand what people want, but clearly you are simply out of touch. I would suggest removing your fake review as it paints a very dishonest picture of you. Also, people will not be interested in following you, liking you and there for trusting you if you keep using these types of tactics. I am sending you this via email as well as posting my comment on your blog post. Naturally we want visitors to our website but if are implying we would write a dishonest review to achieve this you don’t know very much about us. If you really believe in THW Global we would encourage you jump in head first go for it. We have been working from home for over ten years and fortunately have lots of folks who trust us and would never do anything to jeopardize this trust. We simply stated our honest opinion of this program. You can agree or disagree, it is up to you as we don’t have a dog in the fight. To tell the truth, your reputation is at stake not ours. But we do thank you for participating and leaving your comments. Hey guys, you said: “When you join THW Global you can then sell advertising memberships and earn 5 dollar per affiliate commissions as well as the claimed up to 25.00 per hour watching videos”. In THW you don’t SELL anything, it’s free to participate. I suggest you learn some actual information before posting reviews, as this makes you look ridiculous. Thanks! We understand it is free to join. The way we understood is that you can also recruit others into the program and earn Five dollars commissions after the person you recruited earns 25.00. We disagree about looking ridiculous as we are not members and never claimed to know everything about THW Global. We do appreciate the comment so we can all learn more and interested folks can make an educated decision. Hi , I never said you are calling the program a scam I said it was being used poorly.. a scam is when someone or thing takes something that which is of value then thats a scam.. waisting your time is not a scam just foolish.. and as I said I am not in that program…..
Hey guys, I am a member of the program, so I can give you an honest opinion. I’m personally not happy with the program already. They were saying, and so many were advertising, that they were going to launch on July 4th. Well, they launched with a soft launch and won’t be fully launched, it looks like, until the end of August or beginning of September. They say they have advertisers already in place, even though they promised everyone content videos better than You Tube, but it looks to me like they are trying to get these advertisers. I also don’t like the fact that they used a “bait and switch” method to get members by claiming that the videos were content based. I think you’re making the right choice to not persue this opportunity. All I can say, as a member, this company had better get their act together, and get this going for members, the right way, or your post won’t be the only one on the net talking about them. Mine is lible to be the next one. Thanks for writing about this. It needed to be put out there. There could be a legit reason for the delay but we doubt it. They should have their stuff together before announcing the launch and then not doing it. You are probably correct about this review being the only one online that doubts this program. Please stay in touch and let us know how it goes. I agree fully that if something sounds too good to be true, it usually IS. It does actually happen that that such an offer is really true, but it sometimes does, so we’ll have to wait this one out. I agree with you that THW Global sounds highly suspicious. Other than you have done, I have registered as a member. In this way I do have insight in the back office and I can see what is happening, which a non-member cannot. I only promote opportunities that I have tested and find working well. I do not promote this, because I am far away from being convinced. After signing up, I discovered that THW Global has NO imprint, NO way of contacting the owners, and NO support. Lately they have added a FAQ section and in the back office after logging in a link to updates. Only AFTER signing up, I discovered that they have a binary system inside. Also only AFTER I signed up I discovered that they are very FAR from even starting. A: Advertising will begin when there are a minimum of 50,000 to 250,000 IVs in a country. I live in Germany. The global registrations as of today (End of July 2016) have reached only 708,827. I wonder whan Germany will have 250,000? They still need 4,291,173 registrations before they will even THINK of starting. By then they will have to find advertisers who will pay that much money for viewing their ads. I doubt very much if this is realistic. ”Who is going to sit around all day and watch advertising videos and be bored out of your mind? There are THOUSANDS if not MILLIONS of people worldwide who are members of Pay to Click and Pay to View Advertising sites. They will not miss ONE day of clicking and watching “crappy ads” as you call it, just in order to earn a few cents. They do not care about being bored, they only care about getting to the minimum pay out which can be $2 but can also be set at $50. It is quite understandable that everybody is joining THW Global because they promise $25 per video watched. Of course it is quite another matter, whether they will really have so many ads for so many millions of people to watch, and then whether they will actually reward the watching with so much money, plus whether they will actually pay out. In order to pay out money you will have to first take IN money. To my mind that cannot possibly add up in THW Global. I certainly hope they are sincere for all the people who are putting their blind trust in them. I do however also warn to be cautious of a company who have NO way of contacting them, or a working support and who hide behind a website. If they have nothing to hide, there is no reason to be open about the identity. Although they say it is free to join and to earn, I am just waiting for the moment when a commitment may be asked for before you can actually access any earnings. Time will tell. Almost missed your comment because it was in the Spam folder. We were not aware that there is no support which only verifies in our mind that this is not on the up and up. You sound like you are a very smart person who will wait and see like you said. We wanted to thank you for writing such an informative comment that we are sure will help a lot of folks. Very true company makes great money! Others have commented that they have not even been able to view ads. Hi me again I would like to to warn people on SOLARIUM NETWORK .. you might want to start a new post on SOLARIUM NETWORK.. they have taking peoples money and have not delivered on there promise to it’s paid members… It seem like SOLARIUM NETWORK gets you to join one program and pay with the promise of getting other paid members under them. And then before they get any paid members under them in the first program, they get people to signup in another paid program with the promise of paid members under them… A buddy of my says he is in 4 or 5 paid programs with SOLARIUM NETWORK since march and has not made one dime.. one program he spent $300 I think he said… this company is far more dangerous than this free program here… so be warned stay away from SOLARIUM NETWORK!! Thanks for the info and we will look into this. Has anybody been paid. I don’t see any pay charts or taking to even show you how much you made. And again no way to contact admin. I will no longer wast my time on this. We have not heard of anyone being paid on this. This is not a program we will pursue and we think you are making the right decision. Let it begin. No use assuming and presuming. If anyone was expecting to earn $25 an hour just watching ( read keeping the computer on ) movies, then he is only fooling himself. The real catch will follow when it at all surfaces. The usual fine print is pay $$ take $$$$. That $$$$ never happens , what greets you one cold morning is a big 404. Take the online with a sackful of salt , it’s an unreal world. In any case, let’s keep watching. I mean the movies on TV. They don’t pay, but are still free. That is the truth. LOL. Please keep us informed when you are paid if you don’t mind. Do not think THW can pay out as they state.. I know recently they mentioned $25.00 pay per video is not going to happen.. THW has dragged this soft launch on for quite sometime and I do not feel it going to move forward in a positive way or pay..
During this down time I did do quite a bit of research and found another much more promising program that is tapping into a trillion dollar industry.. There is no auto ship, product to buy, and is on a global scale for income and marketing.. It’s a win win program offering 12 streams of income, 4 of which pay daily.. This program is not even a month old, so global ground floor opportunity with a proven company and transparency. If interested to learn more you can email me at plusprofitopp@gmail.com.. It looks like THW Global has pulled a bait and switch. Now you have to pay 995.00? IF* Shermon Mason is involved I highly suggest staying as far away as possible. He has opened several opps over the years that were only in his best interest. I have lost a lot of money that was to go to me in his programs but ended up lining his pockets. After he is made he stops responding to emails and support tickets! We always thought Sherm Mason was an honest person. We don’t know him but that was what we had heard. I really wish people like you would get your information correct before making claims about other sites ONLY to go on and promote your own affiliate links after your so called review. “Who is going to sit around all day and watch advertising videos and be bored out of your mind?” who said anything about sitting around all day to watch videos? its up to 10 hours per week and there are plenty of people who have nothing else to do or can’t do anything else who this would suit perfectly. “Nobody wants to watch advertising, they want content not a bunch of crappy ads. again, your facts are incorrect, the videos are videos uploaded by users much like youtube and the advertsiing is added on the the beginning or end of the video content. You also go on to reply to one of your comments with the following…”It looks like THW Global has pulled a bait and switch. Anyone have more info on this?” If you had done your homework you would know that the Certified IV option is seperate from the IV option and is NOT compulsory it is an option only, so nothing has changed for those who signed up to get paid to watch content. 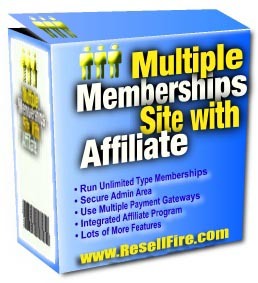 If the site was a scam, like people like you were saying in previous weeks, to collect emails and build a massivre email list to sell then with 1 million members, i think they would have had their fill by now and cut their losses, but no they are still there and still building, even with the addition of the certified IV option, lets face it, people who joined to get paid to view content did so because they want a way to make money without investment or spend, so it would be a complete waste of time for THW to implement this with the hope they will get many to buy into it. The fees they promis to pay CAN be achieved if you do the sums. Lets face it, most people would pay $1.50 for a targetted lead thats guaranteed to see your advert and only about $0.40 of that amout per lead goes to paying the IV. I really wish you and your kind of marketer would do more homework before screaming scam all over the internet just so you can push your own affiliate links. We are allowed to have an opinion so we are expressing it. If THW Global turns out to be legit we will have to eat crow but we have seen many others similar to this. Good luck with it and we hope you make lots of money. More info on THW. You will earn “tokens” to view and comment on videos, take surveys, shop, etc. Tokens exchanged for “points” and 100 points equals $1.00 USD. Whoppee!! Points can be directly converted for free gift cards for your favorite retailer or to get cash-back via Paypal, STP, Payza, and Payap, or you can request a check (wonder how long that’ll take and pray it won’t bounce). Don’t know what the minimum payout is or will be. The Online Sales Training and Certif Course (I guess if you want to advertise your service or biz on their site) cost $995.00 upfront and $39.95 monthly for continuing sales, motivation, and tech training and education. Right now the cost is $495.00 and $39.95 month for a limited time. Don’t know how much time it will require to do all this clicking on ads, doing surveys, viewing videos and make a decent income. Get ready to wear out your keyboard, although THW initially said you can work only MAXIMUM 10 hours WEEKLY and get paid “up to” $250 weekly!!!! Don’t know much about this legacy and dual team stuff, but it’s all in there in back office too. Sounds like those GPT sites I used to join and never reached minimum payment, well I did one time, took me almost 2 years. Just maybe this one will work and we’ll get paid more than just pennies. Ditto, sounds like bait and switch to us.